Diary of a MAD * FAT * WOMAN….. Remember when you were a kid and you had a record player?…Ha, yeah I know – waaaayyyyy back when. 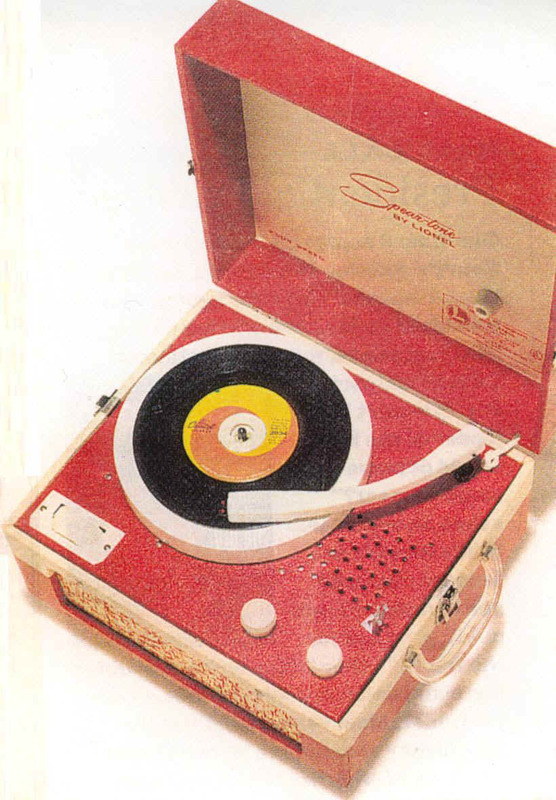 Well, I had a flip top portable that played 45 records and I, like many others, had a few favorite records that skipped. The same phrase would play again and again and again. So to keep that from happening and from interrupting my dancing on the bed, I would scotch tape a penny to the needle. It weighed it down just enough to slide right through the scratch. Oh, it was high technology for the time but it worked like a charm. Life lessons aren’t quite so conspicuous but they do repeat again and again until we finally recognize them and find a way to add weight to the matter and get to the end of the song. Sometimes it takes years but if you have a desire to move forward you will begin to see the common note that plays through the harshest moments of our lives. Isolate the emotional reaction that makes you feel so frustrated, unloved or unworthy and determine when you first experienced it.You might be amazed how bad your record has been skipping. Once upon a time there was a beautiful little girl who just knew she was the apple of her father’s eye. She loved to sing and dance and enjoyed the carefree nature of childhood. She was too young to understand the complexity of marriage and relationships and was dumbfounded when her father moved out one day……and left her behind with her mother. It’s something men have been doing for years. It was nothing new. Anyone in the 70’s would tell you children are better off with their mothers. So, it was typical of the time. But she felt confused, abandoned and she felt left behind like she didn’t matter. She wanted to go with her father. She needed to be with her father. No one asked her what SHE wanted. She WANTED to matter. She spends her youth fighting her way to stay present and connected in her father’s life. Like many fathers he was bigger than life and she needed him to be present in hers. She will fight the same fight, to hold on to what is hers and to matter, again and again. As an adult, an unfaithful spouse proves himself unworthy of the marriage but she will fight to keep him. She will fight to matter. It becomes imperative to win. To prove, that as an adult, she has more influence and control over the final outcome in her life. But she can’t win when she can’t trust. No one can win back love when all they fight for is the mere presence. That presence becomes a toxic reminder of what they have already lost. The pattern will repeat again and again. Always pushing away love that comes too easily and drawing in and attracting those that won’t or can’t give 100%. She will be surrounded by lovers and friends that aren’t PRESENT in the relationship. She will fight tooth and nail to prove she is needed. She will fight to be loved. She will do battle to keep the world at bay to keep the people she loves present and close to her. Eventually, The life she leads will not be her own. It has become all about the fight and not the life…fight and not the life…fight and not the life. But all is not lost. One day she hears the record skip and realizes she has been singing the same phrase over and over and over again. She knows what to do. She pulls a penny from a jar and tape from a drawer and mounts that penny on the needle top. She plays the record and listens as it plays straight through this time to the end of the song. She breathes a sigh of relief and let’s go of the song she had been singing for years. She realizes she matters most to the one that is most important and the most present, herself. The beautiful girl in the mirror she sees everyday is the one that matters. NOW she is ready for a new vinyl record! There is a song in her heart, a new beat to dance to that will fill her with all the joy and delight of a little girl jumping on her bed, singing into her hairbrush and dancing with her pillow. Life lessons are meant to come full circle. Where they start and where they end is often the same place. We allow ourselves to be defined by the skips in between. I love each and every one of you. Life is like a drawer of fried chicken…..